Around the World ... in 79 days! 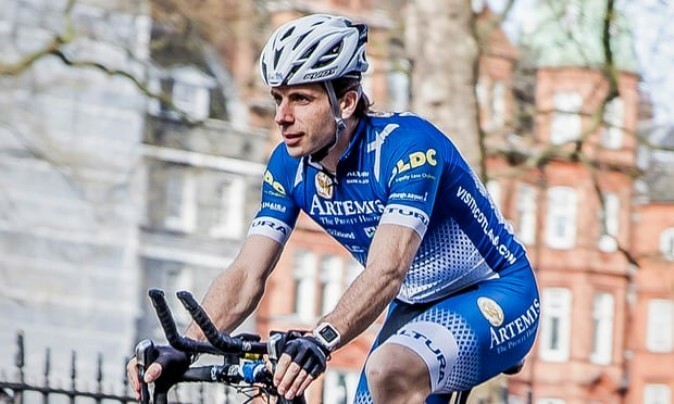 Scottish Mark Beaumont this week arrived back in Paris beating his previous record of 193 days and the existing record of 123 days by New Zealander Andrew Nicholson. 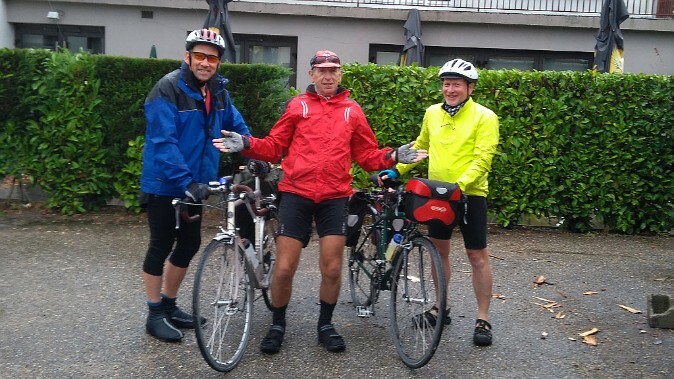 He undershot his planned 'Jules Verne' 80 day target by cycling an amazing average of 240 miles in around 16 hours a day. Mark only slept for five hours each night consuming 9000 calories a day. Six bikes - including a recumbent - hanging in a French TER carriage. You just get on and pop the front wheel on the hanger. Same when you get off. Contrast with the few trains in the UK with any provision. Difficult to secure safely, derailleurs get bent as they are crushed behind other bikes and it is chaos to untangle yours from behind others if you get off at an intermediate station. 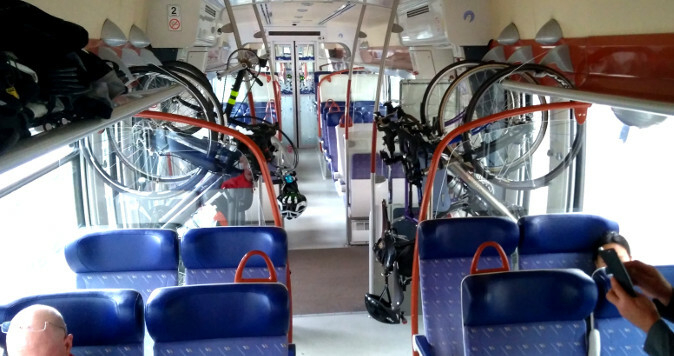 Because the French system has the bikes vertical they take less floor-space and do not block the aisle for other passengers. In Denmark they have added flip up seats to be used if there is no bike - but with instructions to give up your seat to a bike and a fine if you don't! Why not here? Are you listening Southern, SouthEastern, London Overground, Virgin ... ??? 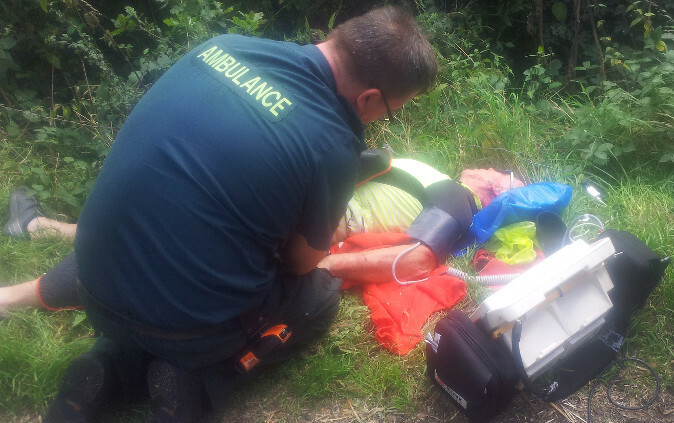 This is Frank on August 24 being attended by Kent Air Ambulance after his high speed encounter with a sturdy hedge. He was hospitalised for a week but is now home, getting stronger, walking the dog, swimming gently and hopes to be back on a bike by year end. I had hoped by now to have invited you all round including Dave G to Chez Kippin to thank you personally for your splendid efforts and support calling the emergency services and extracting me from the woody hedge so that the ambulance paramedics could tend to me at the side of the road. Thank you Belinda for your on the spot expertise and for letting Julie know what had happened so that she could ring the hospital and visit me by taxi in case she could not drive back..... Julie drove down each day as well as take Denzel for his walks and I was discharged a week later on the Thursday. Thank you Mark B and Barrie subsequently driving to Bough Beech to pick up my Wilier Triestina from the local Bough Beech chap, Mark Beardon, for over night safe keeping and then taking it round to Dave G's house thence to 11AC. Thanks for retrieving from the hedge my mobile and glasses. 1st Lesson learnt the hard way I must follow the leader at all times unless given permission to ride ahead! 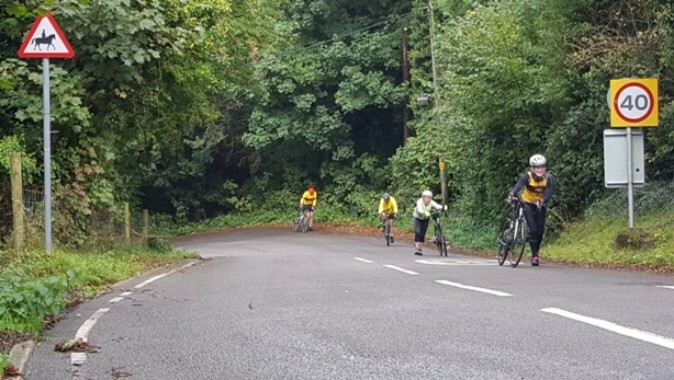 Saturday Ride 23rd September: 10:00 Shurguard/501 Brighton Road: Pete S leads out to a tea stop at the Red Rum cafe Lingfield via Sanderstead and Limpsfield. Return via Smallfield, Horley and Redhill with a pub stop at The Wellhouse, Mugswell. 48 miles not too hilly. Thursday Ride: 28th September: 10:00 Shurguard/501 Brighton Road: Mark H leads somewhere. You couldn't miss the news this week that 'no front brake' Charlie Alliston was given 18 months in a young offenders detention centre for crashing into and killing a pedestrian crossing Old Street, London. You probably agree he deserved it. Yet despite that this was an exceptional case whereas 400 pedestrians are mowed down every year by motorists - the PM has taken time out from sorting Brexit - to order a fast track review of whether to legislate special law to cover this case despite the likelihood we won't see another like this any time soon. Despite the fact he was successfully prosecuted under the existing law. Plus the government has been dragging its feet for THREE YEARS on reforming the careless and dangerous driving laws for drivers. Is this because the AA, RAC, SMMT, Oil companies can lobby harder than the CTC? 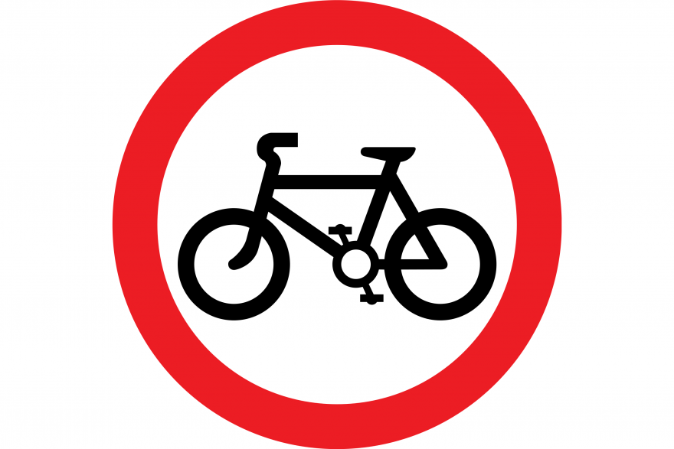 There is one law for cyclists and ... no let's make that two!